Here are two examples of what you get when you sign on for a manuscript evaluation. The first is a novel in progress by Tim and the second is a short story by Heather. Tim is a promising novelist who has already received awards for his screenplays. Tim is an accomplished journalist and media specialist with Lighthouse Media Group in Nova Scotia. He gave Nina his novel to review and she gave him the feedback he needed. She read his entire novel as a reader, taking in story arc, character development, theme and plot as she went along. She paid particular attention to beginnings and endings of chapters and the beginning and ending of the entire book. She looked for how plot, character, setting and theme interrelated. She noted any major craft challenges that Tim needed to consider in his rewrites and edits. 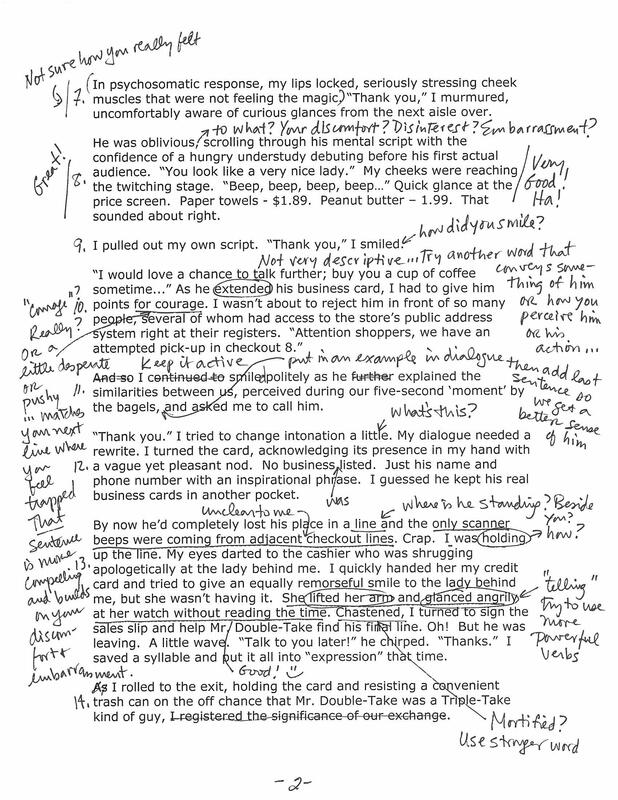 She then reread the first 50 pages and made line-by-line commentary, making structural and copy-edits about theme, story arc, plot, character, tension, setting, language-grammar, etc, construction, consistency and premise/idea (e.g., logic and plausability). In most cases, there is not enough room on the manuscript for substantive comments and overall commentary regarding larger issues most manuscripts face. 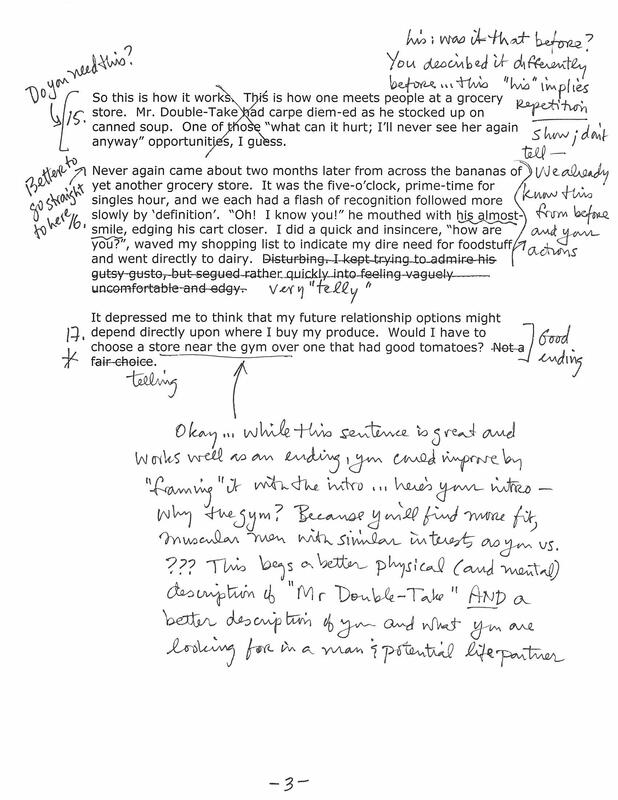 This was the case with Tim’s, so Nina included a 5-page in-depth summary letter that discussed issues and elements that required Tim’s attention. She made specific recommendations on how to get his book published. Nina even provided some ideas for marketing his book. Heather is a gifted storyteller and promising writer. She is an accomplished professional voice-artist and you’ve probably heard her on TV and radio. Heather showed Nina two of her short stories and Nina gave her the feedback she needed. She read through Heather’s manuscript as a reader, taking in the “story”, determining whether it was constructed and resonated with an overall theme. She numbered the paragraphs for easy reference back and forth then went over the story again with a pen in hand. Nina made structural and copy-edits about theme, story arc, plot, character, tension, setting, language-grammar, etc, construction, consistency and premise/idea (e.g., logic and plausability). If Heather had given her an idea of where she wanted to market the story, Nina would have commented on that too, but Heather didn’t. 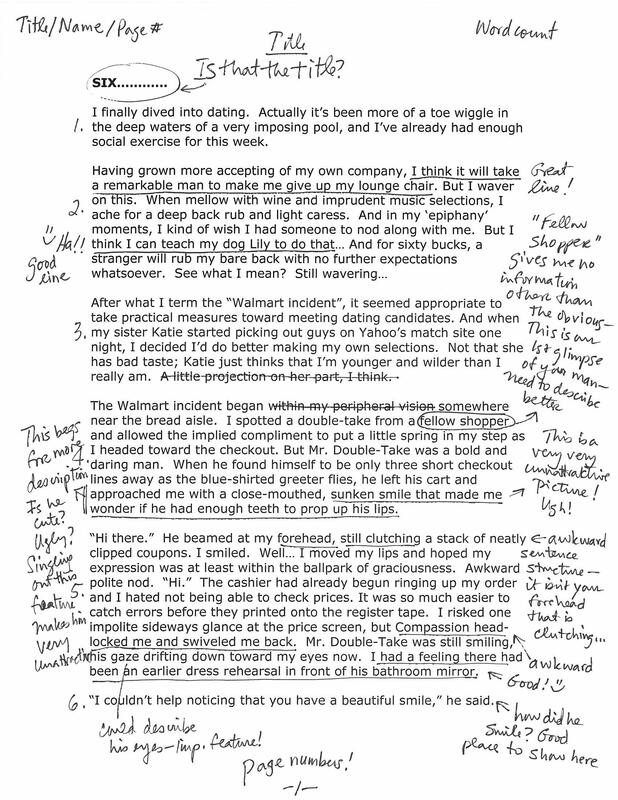 As with Tim’s novel and most other works that Nina has provided coaching advice on, there was not enough room on the manuscript for substantive comments and overall commentary regarding larger issues, so Nina included an in-depth and detailed summary letter that discussed issues and elements that required Heather’s attention that would help her publish her short stories.